Nissan the devilish 2004 Sentra. I first bought the car for $3000 back in 2016 and the first couple of weeks it was working really good but by the 2nd week it started giving me problems. I took it to a mechanic shop for inspection and come to find out there was a long list of problems need to be fixed. From the transmission that cost me another $1000 dollars to repair, the computer system wasn't working (speed gauges weren't going up) and the speed exhaust was, I think what he said was, that it was starting to clog. Fast forward to 2018 to today 11/2/2018 the transmission went out again. I have literally spent some of my taxes on this car (mind you I have 3 kids which means I get some extra tax return) in total I must've spent around $8,000 dollars on this car. My girlfriend told me that my Nissan is not even worth that much so why would I continue to fix it? This car has taught me to take some time doing some research before buying any car. My recommendation is do your research! Our Nissan is good on gas has very good air it is easy to drive and is very dependable there is lots of room on the inside even though is looks small on the outside it is a four door with bucket seats in front and a place for drinks in the back between the seats it is burgundy color and seems to keep it cooler in the summer the headlights are bright but not blinding to other drivers we get about 25 miles to the gallon in the city without the air and about 22 miles to the gallon when using the air we bought it used and it has 108000 miles and we are just now going to do an oil change because its due. 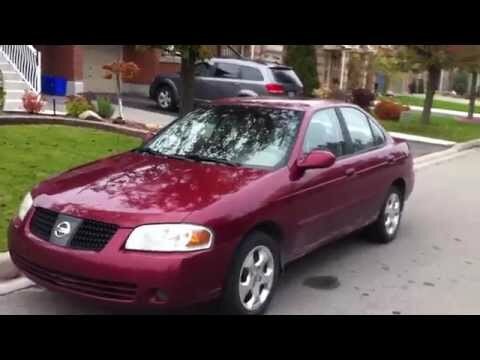 2004 Nissan Sentra: reliable for 14 and still going strong. The Nissan Sentra is a great and affordable compact car. You get all of the basics, but you do miss out on some of the better features of a car that you would pay a few thousand dollars more for. It served my family well (and continues to do so) when we were in need of a new vehicle. Once maintained, it is continued to do a stellar job of taking us to our destinations. Some cons, however, are that the steering is quite stiff, the shocks have almost no absorption. However, it gets decent gas mileage and is super reliable.